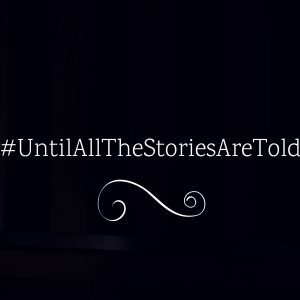 For the last month, I’ve shared one story each day on Twitter about a survivor of sexual violence. First, it’s to illustrate the fact that survivor narratives are diverse. There are male survivors, female survivors, trans survivors, survivors of campus sexual assault, survivors of child sexual abuse, survivors of trafficking, and many more. There are survivors in cities and in rural areas, on college campuses, and in their own homes. And just as there are different types of survivors, there are different ways that stories are shared with the world. Not every survivor is a great writer. Not every story goes viral. Some survivors get on stage with Lady Gaga. Some survivors can’t get out of bed today. Sharing stories is a reminder that there are as many stories as there are victims, and so many of them are still invisible. Second, sharing stories is an act of solidarity with others who have experienced sexual trauma. It’s a way to be there for them. To be there with them. To witness their pain, their struggle, and their healing. Survivors need to be seen, heard, and believed. Sharing the story says I believe you. I see you. You matter. Dude, what happened to you is so wrong. But the main reason I’m sharing survivor stories is to break the internet. No, seriously. Our world is shaped by the public narratives created and shared online by news organizations and social media. The content that gets shared the most informs public dialogue and debate – and more importantly, it attracts the interest of sponsors and advertisers seeking to peddle their wares to us. What if we could get those sponsors and advertisers to invest in ending sexual violence? Because they knew – and believed – that Team Survivor was a winning – and profitable – team. Be on Team Survivor. Break the internet. Share a survivor story today. And tomorrow. And every day until there are no more stories to share.